900 years of history going up in flames. Irreplaceable works of art inside. Famous people buried there. Tragic. … watching … watching … watching, stunned when the large tower fell. Was there as a kid. This is heartbreaking. This is such a huge loss. The art, the architecture, the history. SO sad....visited there in the late 80's and again in the mid 90's...such beautiful architecture and a wonderful piece of history. [...]France has been hit with a string of fires at Catholic churches, some of which occurred alongside desecration of sacred objects and acts of vandalism. 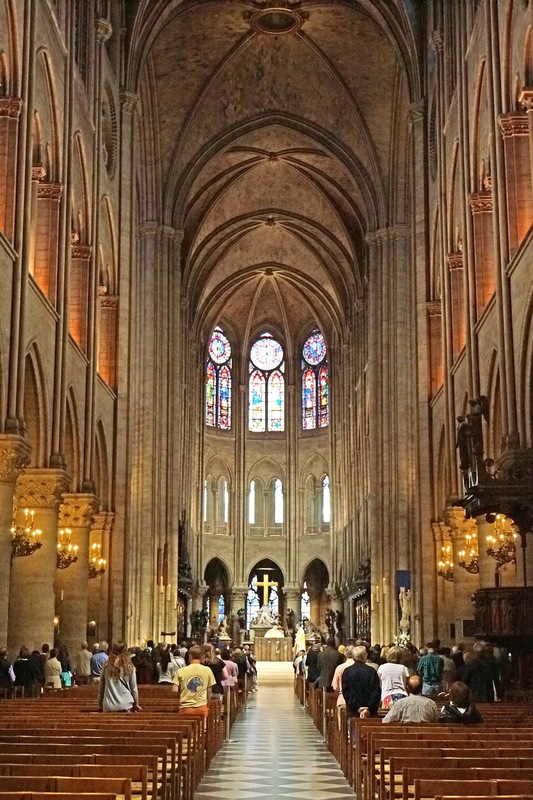 While the fire at Notre Dame appears to be an accident connected to renovations of the church, the image of the famous spire engulfed in flames is a hard hit on the historically deeply Catholic France, as well as Catholics all over who have seen their religion reeling from devastating scandals, cover-ups and attacks. I've been watching live this entire time. They seem to be gaining some control. At least from the outside. This is a sad, sad day. That goddamned Hunchback! Smoking in bed again!!! here's a small sample of the comments. "We have all the best wishes for more fires, earthquakes, volcanoes, cholera, cellulose and.... etc "
"Beautiful Fire, it's a beautiful sight, I wish you every day to make us like this with beautiful news. Burned our Arab world create all of you say"
"Fun view, great bbq night my God hand it nfrḥwạ Punishment for the Eiffel Tower, God willing"
"Good news more like this news that snows the chest and comfort the heart "
"What a wonderful view the most beautiful scene in 2019"
"Salute to the fire and wish him to move to the Eiffel Tower"
"One of the happiest moments I've ever lived to hold a bigger guard"
"May Allah make this country insecure and not stable"
The stained glass. The beautiful stained glass. Some of the most beautiful in the world. Chances of being able to reproduce it are low. There are no longer artisans of that caliber. Can they replace it with more stained glass? Yes. Can they achieve the beauty and skill level of the original? I doubt it. Pretty much everything that was destroyed can and will be recreated. But you are wrong about one thing. The level of skill and precision today in all of the disciplines used to build Notre Dame is far, far greater than anything than existed during it's construction. We could reproduce the cathedral to within 0.01 of a millimeter if we had CAD drawings of the entire thing. Buildings of this period were far from precise, it's the imperfections that made this building the artwork that it was. Nothing about it was perfect, that's what made it special, that's why we can't restore it to it's original form. Not unless we have 10,000 laborers learn ancient construction techniques and have them rebuild the entire thing by hand. Yeah, we could do that, but it would take at least 100 years. It took 200 years the first time around. I agree with most of what you said, but not about the stained glass. Nobody is making stained glass at the level it was made back then because they can't. Nobody paints today as well as daVinci because they can't. That level of skill in those disciplines no longer exists. 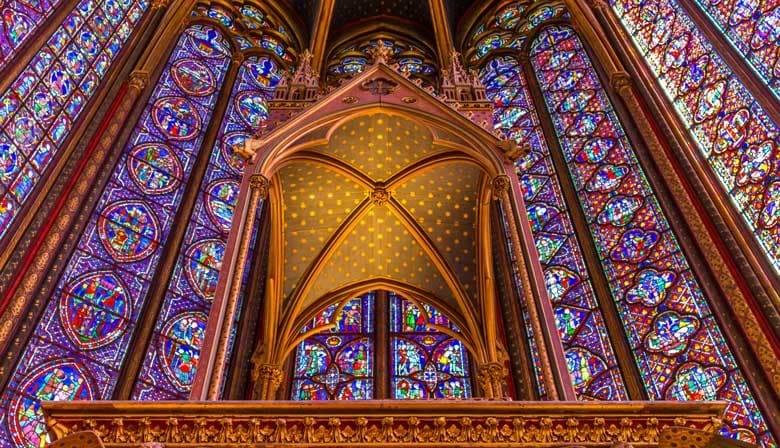 I'm sure there will be stained glass windows in the rebuilt Notre Dame, I just don't think it will look like the original. Yeah, you're correct. But the inkjet on your desk is a better painter than any human could hope to be. Like I said, we can easily reproduce what was lost, but the imperfections are what made it special and irreplaceable. I could purchase custom colored glass, fire up CAD and have a CNC machine cut it out to absolute precision, and lead soldering isn't hard, what I produced would be technically better. But it wouldn't be a work of art. That's what I meant, you can reproduce anything today. But a reproduction will always be just that. I'm actually sad about this. This is like a watching the Library of Alexandria burn. A sad day in history indeed. But some are celebrating. Just as some were in 48 BC. It won't be the same. Im a stained glass artist and the glass colors are different. Techniques are different. I'm sure it will be beautiful but different. The one, single, thing that I have ever liked about Macron, is that he said he would bring the very best that the world has to offer together. And together they will do something unprecedented in history. The very best of our intellect, knowledge and skill will unify to restore what has been destroyed. What will be accomplished in the wake of this disaster will be something that is incredible. The entire western world is mourning this loss and as always, in the face of unimaginable loss we will band together, offer our very best and work to put right what has been made wrong. The Nortre Dame cathedral is symbol to all western nations who share the values of justice, liberty, fairness and forgiveness. We have never been defeated and as we have done time and time again, from the ashes of this tragedy, we will raise triumph...We will not be defeated. You are making my eyes leak, @CentreAussie. I read that the organ of Notre Dame de Paris is safe. Given that it was currently undergoing Renovations and work a great number of the treasured Antiquities were already off site. Also human chains were formed to save the artifacts that have been brought in for Easter. It will be rebuilt. This will be the beginning of a new chapter in the closing of a previous chapter in the long and storied history of Notre Dame. It was a beautiful structure and it will be again. I love human chains. Every time I hear of a human chain being formed, I get all goose bumpy and say way to go humans. While the organ was saved, a colony of 150,000 bees are feared dead. Their hives were installed in the roof of the cathedral back in 2013 as an urban conservation project. The hives did survive the fire but the fate of the bees is unknown at this time. There are three hives that housed 50,000 bees each. Maybe a few survived but I would imagine most of them perished. They were able to inspect the hives by drone. The bees housed in the cathedral were the Brother Adam variety, a breed created about a 100 years ago by hybridisation of bee varieties which are resistant to diseases such as acariosis. Sounds like a good choice for their bee revitalization project.